Everyone acquires wrinkles as they age, but an expressive face can accelerate their development. If you’re bothered by wrinkles and want to look as good as you feel, seek expert Botox® and filler treatments from Dyan Harvey-Dent, DO, of Unique Dermatology & Wellness Center in Valrico, Florida. Call the office or book a consultation online. 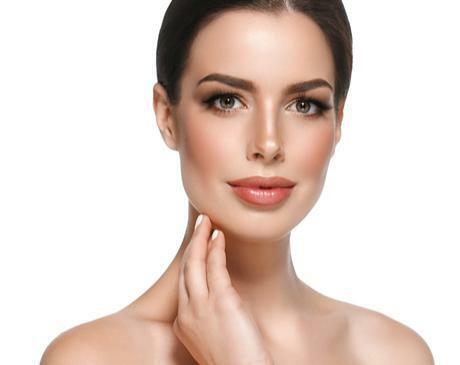 Botox is a purified toxin that, when injected into specific areas, temporarily halts the muscle activity that leads to wrinkles and lines in the skin. Botox has been extensively researched and approved for use in 96 countries. Each time you smile, squint, or frown, your body forms tiny creases that develop into wrinkles over time. Botox stops these muscle contractions so you see a visible smoothing of your complexion. Botox provides subtle results, especially when administered by an expert injector such as Dr. Harvey-Dent. She can reduce the appearance of your wrinkles without making you look like you’ve had “work” done. Dermal fillers are injected into your face and other areas to add fullness, fill wrinkles, and give you a natural, more youthful appearance. Fillers are typically made of hyaluronic acid, a naturally occurring substance found in your body. Fillers are a temporary treatment. Depending on the type of filler and where it’s injected, you may notice an improvement that lasts for 6-24 months. If you have these concerns and others, Dr. Harvey-Dent can combine Botox treatments with other injectables such as dermal fillers to achieve your aesthetic goals. When will I see the results of Botox and how long do the results last? Botox results are noticeable within 24-48 hours and full results are apparent three to seven days after your injections. Expect your results to last three to four months. You can continue to get Botox treatments for as long as you like. Do Botox injections and dermal fillers hurt? You may feel some pinching during Botox injections, but most people tolerate treatments quite well. You receive approximately a dozen injections if you have all areas treated, and fewer injections if you only have one or two areas treated. Most treatments take just 10-15 minutes. If you’re concerned about discomfort for Botox, talk to Dr. Harvey-Dent about using ice or a numbing cream before administering your treatment. Dr. Harvey-Dent can also apply an anesthetic before injecting dermal fillers. Do Botox treatments and fillers require downtime? You don’t need to schedule any downtime following Botox injections. You can go right back to work, school, or other daily activities immediately after treatment. You may have slight redness or bruising in treatment areas, but these fade within a few days. After filler injections, you may notice swelling and feel some discomfort. Ice can help ease your symptoms. With fillers that specifically treat acne scars or wrinkles, you may also have bruising that should go away in a week. To learn more about Botox injections and fillers, call the office or schedule an appointment online.